FC Bayern Munich, one of the world’s most successful soccer clubs, opened its first international office in 2014 in New York City. The move was intended to build an on-the-ground presence for Bayern Munich, helping bridge the gap between the United States and Germany. Since then, the club has seen rapid growth in the American market. Bayern Munich, which boasts more than 652 million followers globally, has seen its U.S. following more than double from 13 million to 27 million and the number of official fan clubs increase from eight to 136, across 39 states. Club research has also shown it now has supporters in all 50 states. The Bavarian side, which won its record sixth consecutive Bundesliga title this season, advanced to the 2017/18 UEFA Champions League semifinals, losing to defending champion Real Madrid over two legs. Bayern Munich plays in the DFB Pokal Final—Germany’s domestic cup competition—against Eintracht Frankfurt on May 19. Following the conclusion of its domestic and European campaigns, the club will return to the United States for a preseason tour as part of the International Champions Cup. It will be the third time since opening its NYC office that Bayern Munich will play in the United States. The club most recently played in Chicago, Charlotte, and New York in 2016. Bayern also played against the Major League Soccer All-Stars in the 2014 MLS All-Star Game in Portland. 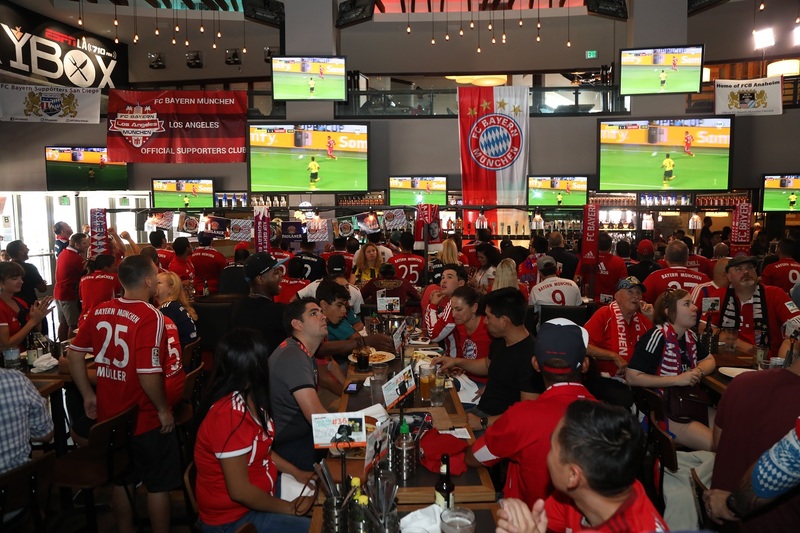 “FC Bayern has fans in all 50 states and preseason tours are a great way to give them the opportunity to see the team they love no matter how far away from Munich they live,” Rudolf Vidal, Bayern Munich’s President of the Americas, said. This summer, Bayern Munich, one of only seven clubs to boast the coveted Treble (winning the domestic league, domestic cup, and Champions League in the same season) plays Italian giants Juventus on July 25 at Lincoln Financial Field in Philadelphia, and newly crowned English Premier League champions Manchester City, led by former Bayern coach Pep Guardiola, on July 28 at Hard Rock Stadium in Miami. The club’s American-based staff hosts events around the country in the build up to the preseason summer tour, with trophies and free apparel for fans to enjoy. Bayern had a watch party for the DFB Pokal semifinal against Bayer Leverkusen on April 16 in Miami, and had another watch party—highlighted by a video call from legend Bixente Lizarazu—at Bleacher Report offices in New York City for the UEFA Champions League semifinal second leg on May 1. Matthäus and the club also visited Philadelphia this summer. Matthäus, who played for the club from 1984-88 and 1992-2000, met members of the Philadelphia Eagles, attempted a few field goals, and even recreated the famous scene from Rocky (1976) where boxer Rocky Balboa runs up the 72 stone steps of the Philadelphia Museum of Art as part of his training. Begun in 2013, the ICC features some of the most influential teams, managers, and players participating in high-stakes preseason matchups in the U.S. and around the world. In 2015, KC Carlos packed up her life in Texas and moved it across the world to Thailand to further her career in Muay Thai, the nation's historic combat sport.